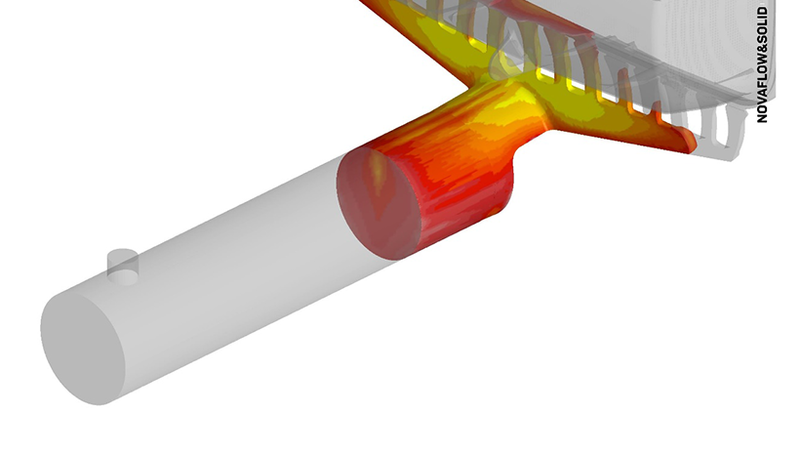 Written by our Technical Simulation Manager – Håkan Fransson, through Altair. Historically, foundries have used too high of casting temperatures during high pressure die casting simulations. Many foundries believe there is a minimal temperature drop (~ 20 degrees) from the melting furnace to the filling of the part. Running a simulation with too high of a casting temperature will result in an incorrect simulation of the cold flow and a different temperature gradient which will cause the porosity prediction to be slightly off. This can result in cold joints, cracks on the surface of the casting, or increased porosity. In a test on thermocouples conducted in a furnace with a melt temperature of 700 degrees, it was found that the temperature drop from the furnace to the exit of the filling chamber (where the ingate system starts) is actually more than 100 degrees. This has also been proven in several other independent tests, one of which was project managed by the Swedish Foundry Association. Running an HPD chamber filling simulation will solve this problem and provide a better understanding of the real values in the process. 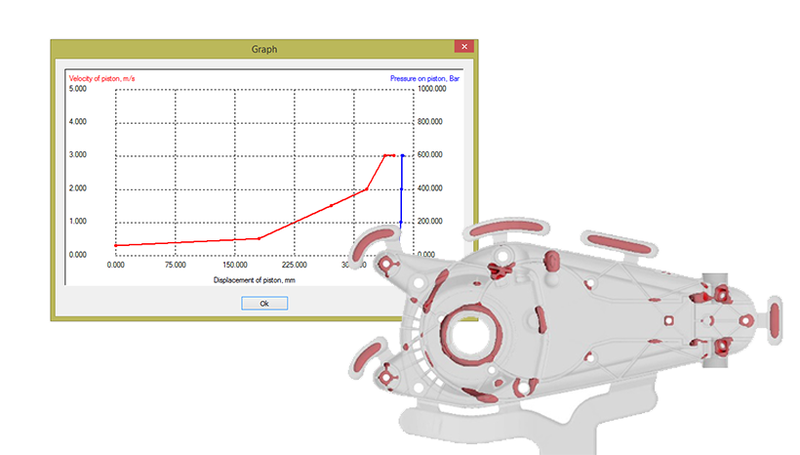 This, along with a few other simulation tools and tricks, will provide faster, easier and more accurate castings. With new innovations in simulation software, engineers can take the correct temperatures into account and simulate the whole process of high pressure die casting. 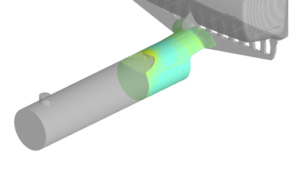 Running a complete simulation gives more accurate settings of different phases by setting it by millimeter movement of the piston in the chamber. This allows the testing of different phases and start points for optimization as well as the ability to account for the air in the chamber that could be encapsulated into the melt during the filling of the first phase and then create gas porosities in the casting. It is not necessary to have the same mesh resolution for both the chamber and the part. In this example, a 6 mm mesh was used when filling the chamber, a 4 mm mesh from the exit of the chamber to the casting cavity, 2 mm mesh for the remaining fill, then 1 mm when the calculation of solidification should take place. 6mm mesh resolution until this position. 4mm mesh resolution until position now switch to 2mm mesh for remaining fill. 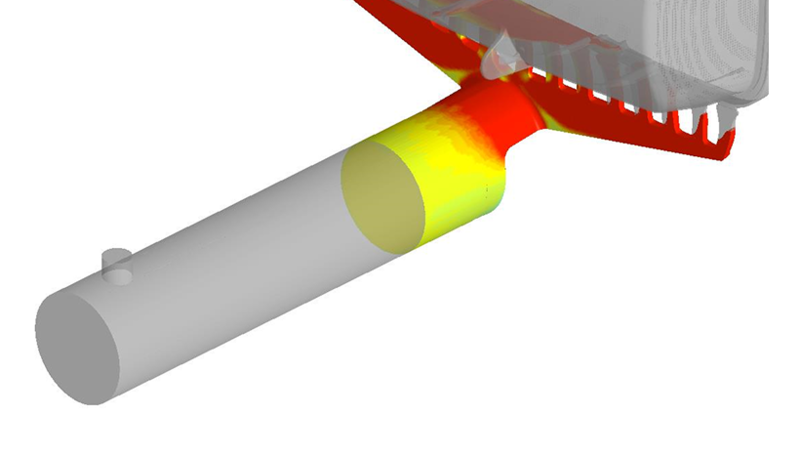 Since larger meshes produce faster calculations, a switch from 2 mm to 6 mm during the first phase can significantly decrease simulation time. It’s best to spend all your time and effort on the part of interest, which is typically the quality of the casting. Cold flow simulation innovations now accurately simulate how low of speeds filling can be performed at and how thin section walls can be without losing integrity. Such innovations allow engineers to explore the limits of different materials and processes as well as find workarounds that can stretch these limits. 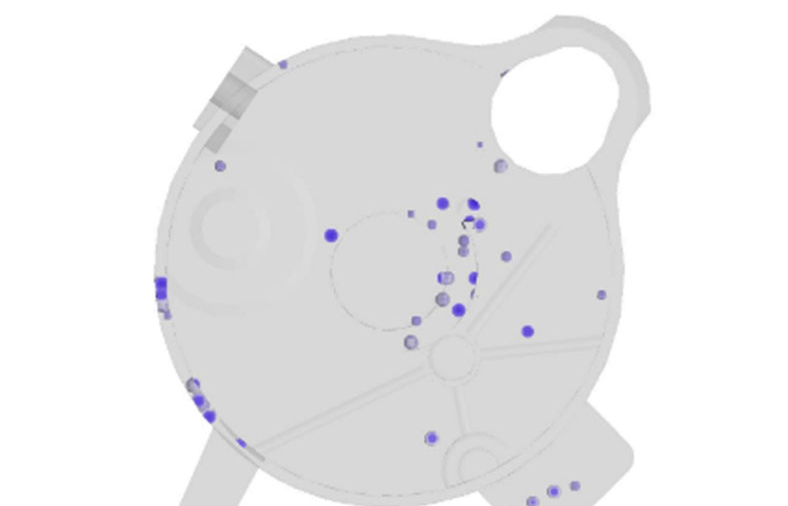 Using piston movement in the chamber, a pressure curve can be setup in the last stages of the filling process. It is best to use pressure equal to the 3rd phase feeding pressure set on the machine. This innovation makes the feeding/porosity process more realistic and accurate. New innovations in casting process simulation of high pressure die casting makes it possible to simulate the complete high pressure die casting process without spending a lot of time setting up the simulation, running it, and analyzing the results. Faster speeds enable the possibility to add more details in the simulation like gas calculations and filling of the first phase. The culmination of these innovations give more accurate results.